John Dalton was a renowned British chemist, best remembered for introducing atomic theory into chemistry. This is the theory that all substances are made from tiny particles called atoms. His theory revolutionised scientific understanding, helping to explain chemical phenomena that had long puzzled scientists, and providing a theoretical foundation for chemistry that remains today. John Dalton (1766 – 1844) was born in Cumbria into a relatively poor Quaker family. As a young man, he taught at a Quaker school in Kendal, eventually becoming the principal before moving to Manchester. Here, Dalton became increasingly involved in the science and business community and eventually became president of the Literary and Philosophical Society. He continued to teach science and mathematics – one of his pupils was James Joule, the celebrated physicist. Dalton was fascinated by the atmosphere and its structure and components – for over five decades, for instance, he kept a meteorological diary based on thousands of observations. He conducted experiments on gases and their relationship with liquids. In 1803, he developed his revolutionary theory of atomic structure. Dalton saw all matter as being made up of tiny particles called atoms, which he imagined as solid balls that could not be broken down into anything simpler. 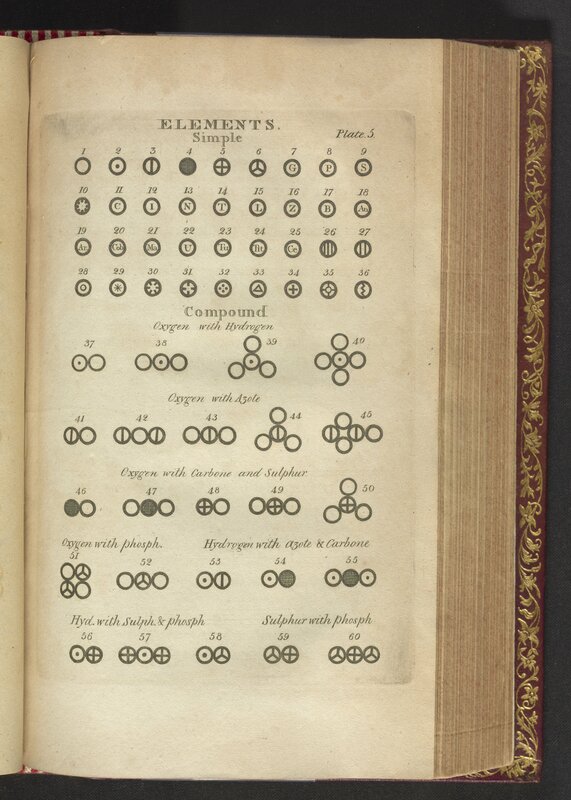 He also said that the atoms of any element are identical to each other, but different to those in other elements. And that these atoms can combine and rearrange themselves during chemical reactions. He devised an early version of the periodic table, initially showing the relative atomic weights of just six elements – hydrogen, oxygen, nitrogen, carbon, sulphur and phosphorus. His theory was later refined with the discovery of sub-atomic particles, showing that atoms are, in fact, made up of a nucleus, containing protons and neutrons, surrounded by electrons. 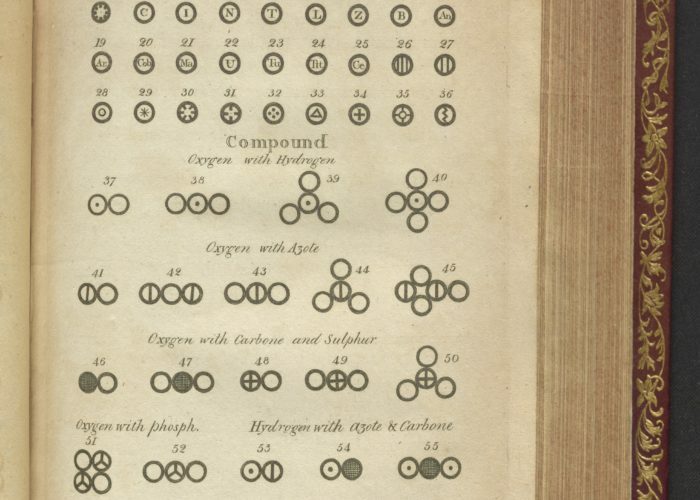 John Dalton was colour-blind and was the first to recognise that the condition is hereditary. The condition became known as ‘Daltonism’ in honour of his research.